Matching up with the ever increasing requirements of the customers, our company is engaged in providing Organic Sesame Seeds. 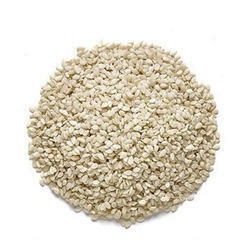 We have gained specialization in providing a wide assortment of organic sesame seed. This range has a wide demand in the market for feeding. In order to meet the individual requirements of the clients, we are offering these seeds in varied varieties. H W Organic offers extensive range of Organic Sesame Seeds to all our esteemed clients. 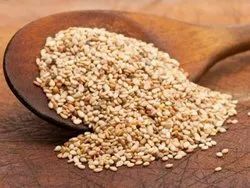 Manufactured using fine graded sources, these Sesame seeds are procured from trusted vendors. We bring forth vast industrial experience and expertise in this business, involved in offering a high-quality range of Organic Sesame (Organic Til).